Grape seed oil is great for your skin so it is often found in cosmetics, but did you know that grape seed oil is a wonderful alternative to peanut oil? Peanut oil can withstand a very high heat which is why it is used in many deep fried recipes and restaurants, however many people are allergic to peanuts. Although some people allergic to peanuts do well with peanut oil others can not tolerate it. Grape seed oil has a moderately high smoking point. Great for stir-frying, sauteing and deep frying, grape seed oil has a very clean, delicate flavor. Grape seed oil has high polyunsaturated fat content, so it works very well in salad dressings, mayonnaise and infused oils. 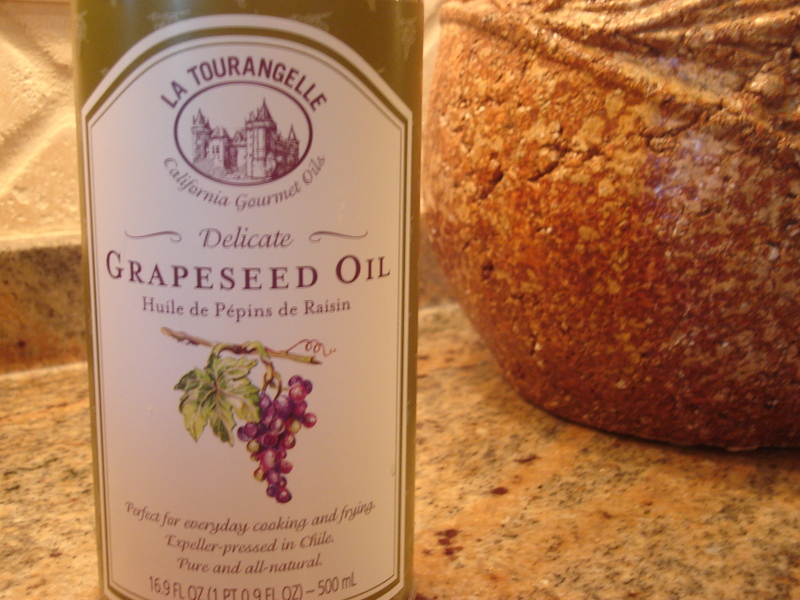 Here is one of my favorite salad dressing using grapeseed oil. Whisk together all ingredients and serve over your favorite leafy greens!